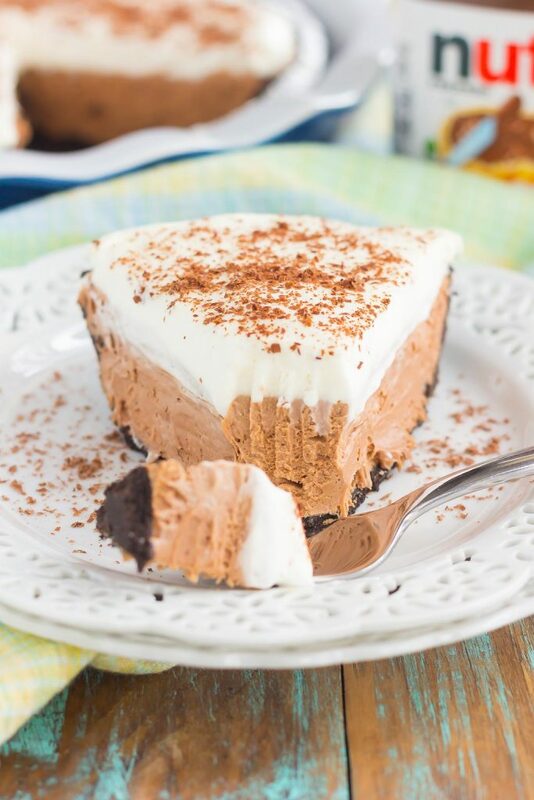 This Chocolate Nutella Cream Pie is filled with a smooth and creamy base of nutella, enveloped in a chocolate cookie crust and topped with homemade whipped cream. 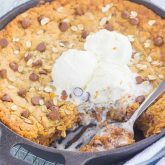 Easy to make and ready in no time, this decadent recipe is perfect for impressing dessert lovers everywhere! How about a little pie to get your Monday started? More specifically, a pie with chocolate, nutella, and homemade whipped cream? Have I peaked your interest? I thought so! Since Mother’s Day is almost here, I thought I would share one of my favorite, easy desserts that is perfect for a special occasion. Not that you need an occasion to eat pie, of course, but…this dessert would definitely impress those lovely women in your life. I’ve mentioned before that I am almost a magazine hoarder. I say almost, because I can restrain myself from buying magazines, and try to limit the amount that I do buy. But, I do have my fair share of food magazines, and love finding new recipes and inspirations. This Chocolate Nutella Cream Pie came from the Taste of Home One Pan Meals issue that I bought a few years ago. I’ve had this recipe flagged since then, and I finally got around to trying it! And let me tell you, this cream pie was an instant hit around here. The hubster practically ate it all, and I couldn’t get enough of the velvety and rich filling. And did I mention that this pie is no-bake? Pretty much the best kind of pie in my book! No oven to preheat, just chilling the pie until it’s firm and ready to be devoured. 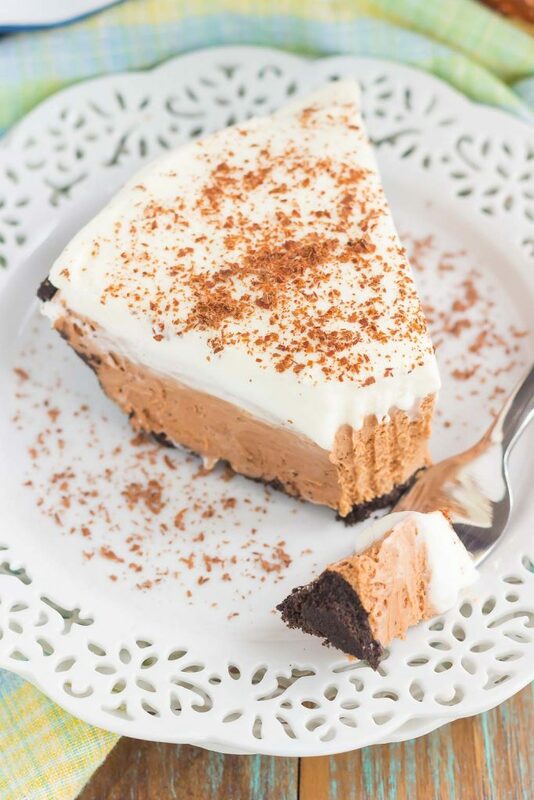 This Chocolate Nutella Cream Pie really couldn’t get any easier (or more delicious). The cream cheese gives this treat an extra kick of flavor, while the whipped cream balances it all out. Smooth, velvety, and all-around decadent…what could be better? Looking for more pie recipes? I’ve got you covered! In a large bowl, beat whipping cream until it begins to thicken with an electric hand mixer or stand mixer with fitted whisk attachment. Add sugar and vanilla; beat until stiff peaks form. Set aside. In a medium bowl, beat cream cheese, powdered sugar, and Nutella until combined and smooth. Fold in half of the whipped cream. Spread into prepared pie crust. Spoon remaining whipped cream on top and spread. This recipe's a keeper! 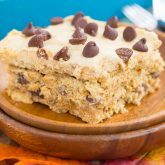 Of course you have the ultimate flavors going on, but the fact that it's no-bake makes it all the better! So perfect for Mother's Day! Loved the video, too!! Pinned! Thanks for the pie love and pin, Annie! You and me both, girl! Love magazines and definitely have quite the collection. I particularly love those special edition ones. A lot of those are just as good as a cookbook, aren't they? Loaded with awesome recipes and pics. 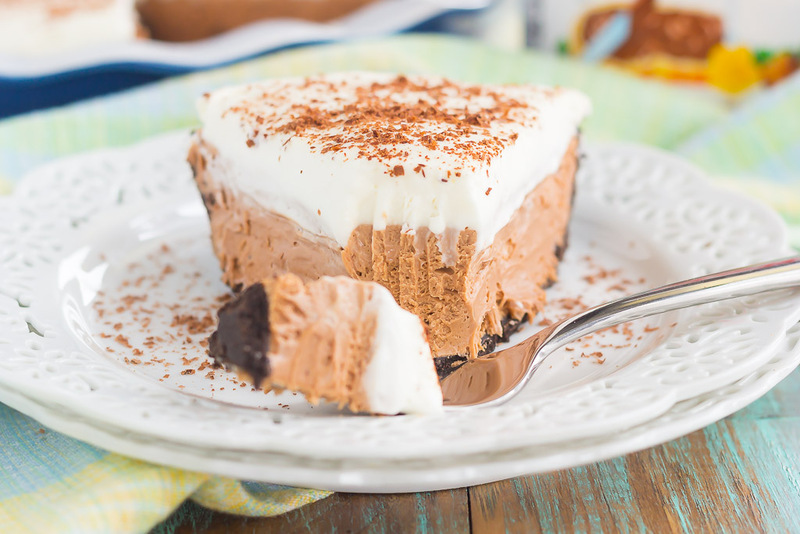 This pie looks like the perfect way to start Monday and just love that it's no bake! It looks so creamy too. Pinning this and trying soon. Cheers to a great week, my friend! Yes! Special edition magazines get me every time. Thanks for the pie love, Dawn! Oh man, what a GORGEOUS pie, Gayle! I seriously just want to dig into all that nutella goodness for breakfast NOW! Love how perfect those slices look! I'm a magazine hoarder too, Gayle!! So glad to know I'm not the only one with that little, uncontrollable problem! ;) This pie looks and sounds aaaaaaaahmazing, girlfriend! SO dang creamy and dreamy! I mean, it's pretty hard to go wrong with nutella, but then you added that chocolate cookie crust and homemade whipped cream! You are right, no excuse is needed for pie, but I'm this would be the perfect thing to make for Mom! Pinned! Cheers, friend! I just LOVE Taste of Home! The recipes are so simple and doable. 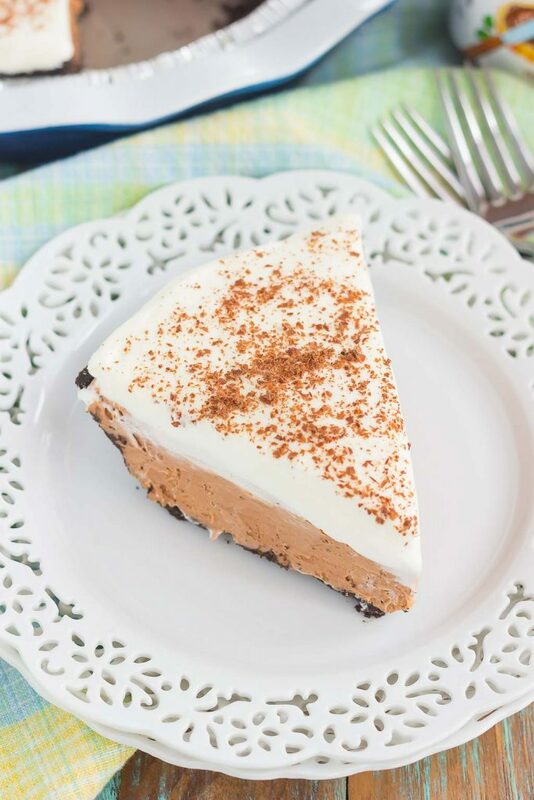 This pie is the perfect easy dessert for summer! I think I would smother mine in fresh berries! Berries sound like a delicious option! Thanks, Ashley! 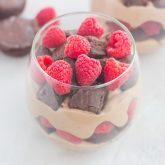 This would totally make the perfect dessert for Mother's Day! It's just gorgeous and I love that it's no bake! I'm trying to get my magazine collection under control, so I can definitely relate! It's so hard to part with the food magazines. 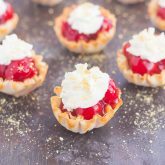 This pie is perfect for those times when you need a special occasion dessert but don't want to spend a lot of time in the kitchen! The flavors sound amazing! Yes! You never know when you might need some inspiration, which is why I have a hard time parting with magazines, too. Thanks for the pie love, Kristine! There's nothing like a delicious cream pie and when Nutella is involved forget about it! This looks so insanely good and I love that it's no-bake for summer. You did such a great job on your video too! Now can I just have a slice? I'm a DEFINITE magazine hoarder. But I am getting better at reading them, cutting out the recipes that I want to make, and then getting rid of them. Though I can't let go of my beloved Martha Stewart Livings or my Cook's Illustrateds. This recipe is definitely one I would rip out and save... It looks seriously awesome!! I need to start doing that with my magazines! Thank for the pie love, Sues! Oh yum, what a gorgeous pie! You can never go wrong with Nutella!! Nutella is the best! Thanks, Manali! This is the perfect dessert,yum! Yup Nutella is always a good idea but a perfect one for Mothers day. And man I used to be a magazine horder so I totally relate. After moving so many times in my twenties I just stopped in my tracks and also got rid of them all in one sweep. It was really hard though! This pie looks gorgeous! Love Nutella. So easy to make, too! Love the video! Pinning to try it asap! Thanks, Mira! It really is so easy to make!